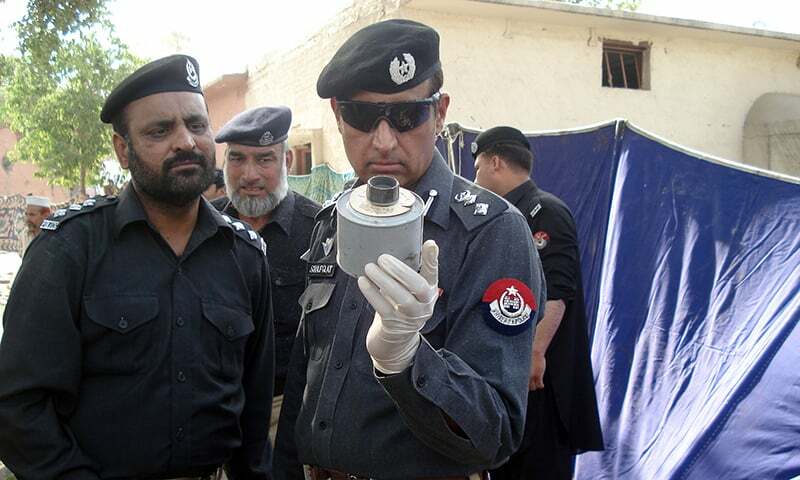 PESHAWAR: Capable of causing lasting damage despite being easy to manufacture, improvised explosive devices (IEDs) have become the most common weapon to be used by militants in Khyber Pakhtunkhwa and Fata. 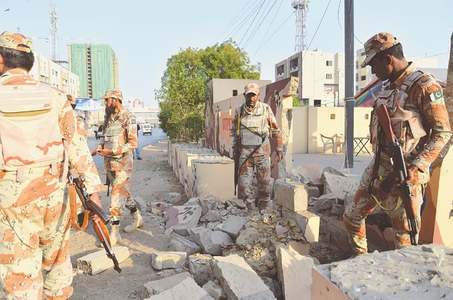 Around 70 per cent of terrorist attacks in the province have involved the use of IEDs, according to Shafqat Malik, the additional inspector general of the bomb disposal squad. He informed this reporter that in KP 5,228 incidents of IED blasts took place from 2009 to 2015. Another 210 cases have already been recorded this year. According to KP police’s official statistics, 21 people, security personnel and civilians included, have been killed and 122 injured in 23 IED attacks in Peshawar this year. In 2015, at least 26 people, both civilians and police personnel, were killed and 53 injured in as many as 37 IED attacks. Of these, about 20 attacks were related to extortion and not terrorism. Mr Malik, who is also a forensic, ballistic and bomb disposal expert, is calling on the government to establish an inspectorate to prevent criminal elements from getting access to IEDs. IEDs require little time to make as no scientific training or laboratory is needed. Most IEDs are made of the following components: cell phone, electrical wire, fuse, batteries, electrical tape and a solid-state semiconductor device. Fertiliser, gunpowder hydrogen peroxide and sugar can be used as explosive materials. They may be packed with additional materials or enhancements, such as nails or glass, in order to increase the shrapnel force of the blast. 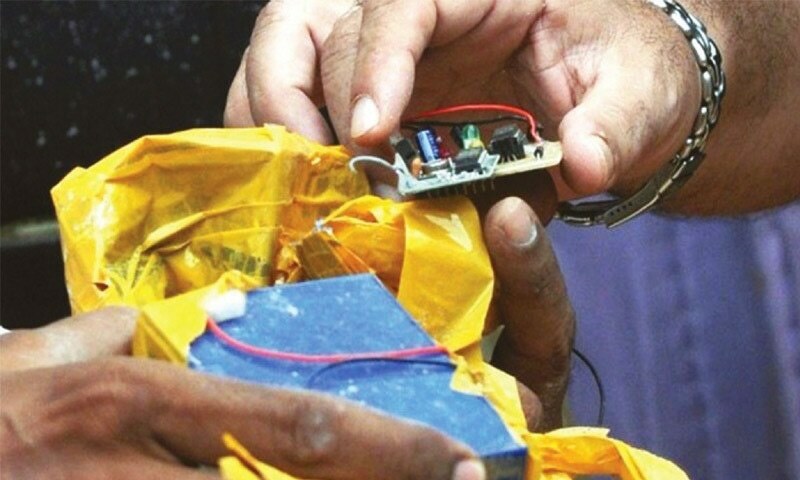 A bomb disposal unit official says that many insurgents use IEDs and suicide jackets made from military grade and commercial explosives that are more destructive than homemade bombs. The majority of extortion-related blasts in KP, however, involve homemade explosives. An IED is easy to hide and can even be concealed inside a pressure cooker. It can be detonated from a distance using a remote control and does not require a suicide bomber for delivery. “IEDs were first used by the Irish Republic Army (IRA),” says Mr Malik, adding that while groups like the Pakistani Taliban are not as sophisticated as the IRA, they have learnt how to use them effectively over the passage of time. Apart from death, the intense pressure from and IED blast can burst eardrums and cause the brain to smash against the inside of the skull, leading to deafness, concussion, blindness, and swelling of the brain, according to Dr Zeeshan at the Hayatabad Medical Complex. An IED explosion can damage vehicles and property due to blast wave, heat and fire. According to Mr Malik, the KP government needs to control the production, transportation and sale of ammonium nitrate fertilisers, commercial explosives and other ingredients used in IEDs. 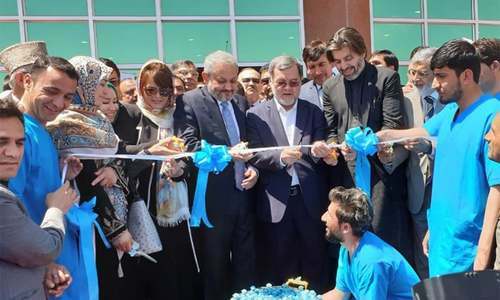 “The government needs to establish an inspectorate to keep a check on factories that are using explosive material for commercial purposes,” he suggested. Selling commercial explosives to criminals is a profitable business, he adds. Mr Malik says that during 2013 a huge decline was witnessed in IED explosions after the federal government revoked the licences for transporting commercial explosives. However, he says that this is not an effective solution since it only targeted their transportation and not production. 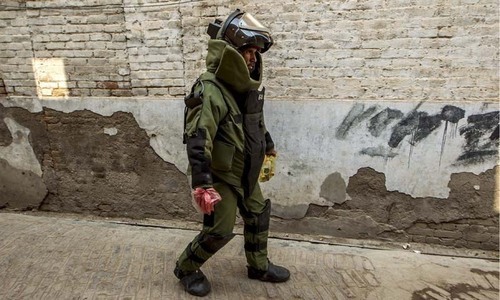 After the passage of the 18th amendment to the Constitution, the KP government passed the Explosives Act in September 2013 in order to regulate explosives and avoid their misuse. 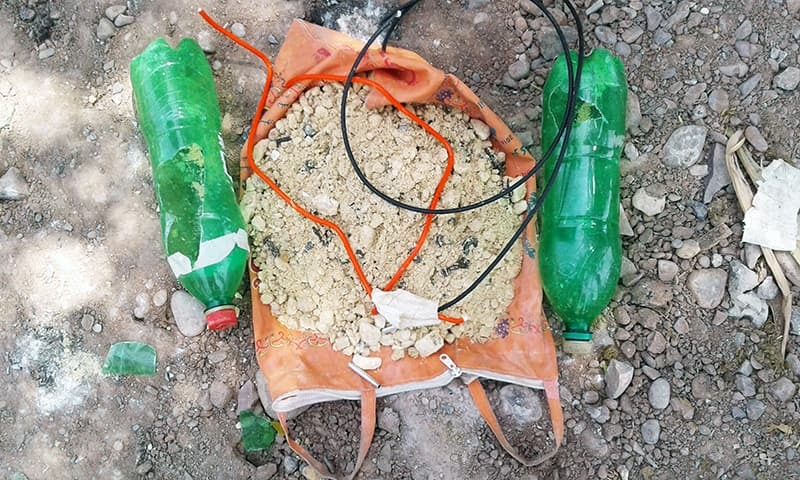 The Home & Tribal Affairs Department was tasked to establish an inspectorate to monitor the use of commercial explosives at district and tehsil levels. However, Additional Secretary Home and Tribal Affair Department Siraj Ahmad told this reporter that it would take further time to establish the inspectorate since the hiring of staff required federal approval. He also revealed that no policy has been devised yet to regulate commercial explosives.